THE public-works and tour­ism agencies have complet­ed a P50-million tourism road project in Samar. With the completion of the road-construction initiative in Calbayog City, visitors now have easy access to three of the scenic waterfalls in the area: Larik Falls, Bangon Falls and Tarangban Falls. 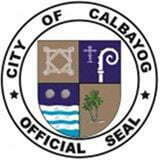 Public Works First District Engineer Alvin A. Ignacio said the project involves the paving of 1,200-linear-meter access road. “The road improvement in Barangay Tinaplacan, Tinamba­can District, has resulted to the growing in number of visitors of the three majestic falls.